JR West Kobe line from Kobe to Osaka and the JR West Kyoto line to Kyoto for the class 223-2000 EMU. Details are sparse in the urban environment. 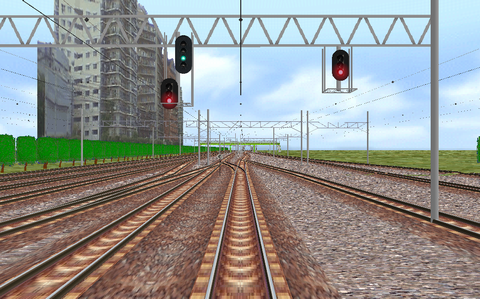 A track section at the Osaka station is displayed too high compared to the other rails. about the Kyoto line at Wikipedia.